Knowing how your employees spend their working hours is a crucial piece of information for you to know as a business owner. It will tell you not only if they are misusing the time, but will also tell you if you can make improvements or changes that will increase productivity and give you better results. Time tracking apps will allow you just that, and TimeDoctor is one of the best on the market. Once you set everything up, it will become a vital part of your business. We at FixRunner are using TimeDoctor on a daily basis. It is one of the most important tools that enable us to optimize our work to its fullest, and we have got so accustomed to it that we can hardly imagine our work process without it. In this article, we will share our methods of using TimeDoctor. Yes, no two businesses are identical, but you will probably be able to implement at least some of our ideas into your workflow. 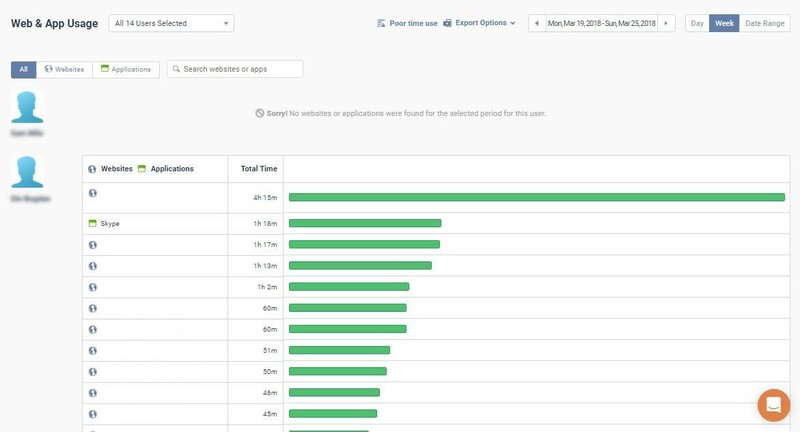 There are quite a few time tracking apps out there, and more and more are appearing on the market each day. Some are best used by individuals while others shine for businesses. 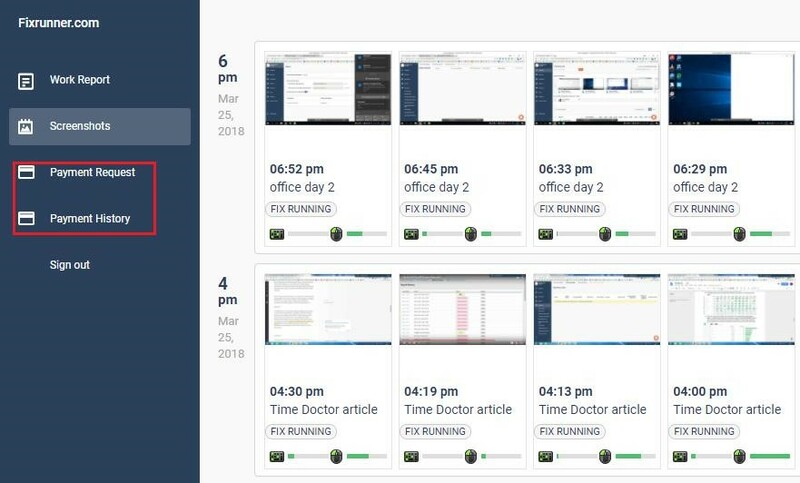 TimeDoctor has been on the market for some time now and has a proven reputation as a well-trusted software for individuals, but it shows its full potential when used for managing employees on a company level. TimeDoctor is far more than a simple time tracker. Sure, at its core it’s a time tracker, and you can use it for only that, but it’s also packed with other more advanced features. It will allow you to offer your clients insight into the work done for them, create and manage payroll for your whole team, integrate third-party apps you already use in your work process, and much more. In short, it’s fantastic software that has enhanced our working process so much. And since it has a free trial period, you should definitely try TimeDoctor and see how it works for your business. Time tracking – it tells us how much time our employees spend on each ticket they work on. 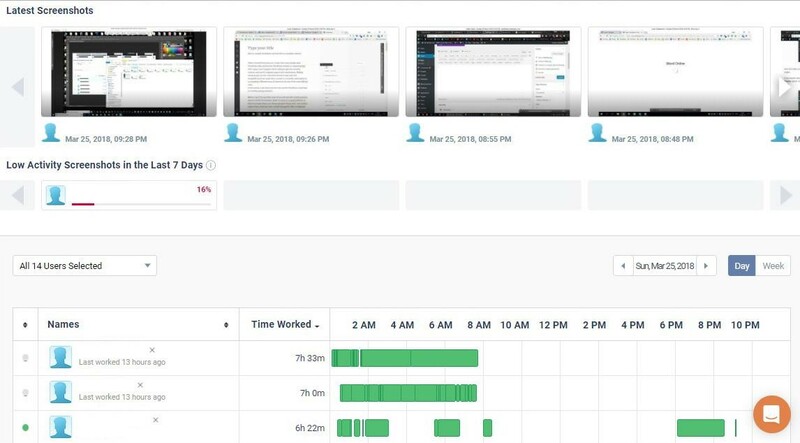 We use it to track the work of both of our in-house and remote workers. Payment – TimeDoctor allows us to schedule and make payments for our team, simplifying and speeding up the payment process. Overtime – we use TimeDoctor to see if a problem has taken longer to solve than our customer has paid for. Our clients subscribe to support packages that give them a limited amount of support time each month. We use TimeDoctor to track our time we spend working for each client, on all of their tickets in a month. Sometimes, a client’s website has so many issues that cannot be solved within the time limit their subscription dictates. TimeDoctor allows us to show our clients evidence that they need to upgrade their subscription to a better plan, with more support time per month. Of course, we will not stop working in the middle of fixing things if a ticket went overtime, asking for more money before continuing. The whole “Overtime” concept is just a precaution. Because sometimes, clients do not realize the severity of problems their website has until we show them the TimeDoctor information. Without it, it would be a lot harder for us to explain to the client that the upgrade to a better plan is necessary. TimeDoctor helps us build customer trust, keeping everything honest and transparent, which allows FixRunner to have a steady growing number of long-term subscribers. TimeDoctor is a comprehensive software, so be patient with the initial setup. We will cover some of the required steps, making the process smoother for you. 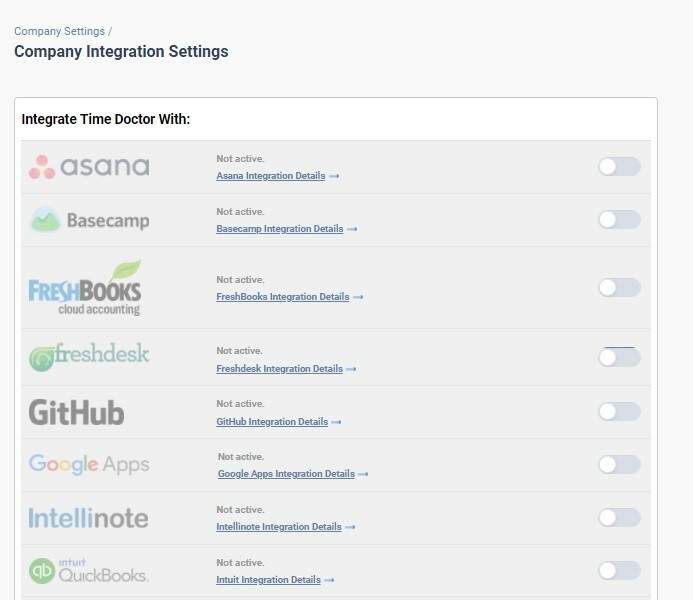 Those were a couple of things we recommend setting up before starting to use TimeDoctor, but you can simply add employees and start tracking time and worry about all of the other features later, once you feel they’re necessary. We will now talk about some features of this great tool that we use the most at FixRunner. The Dashboard is the homepage of TimeDoctor, and on it, you will find a little bit of everything including the latest screenshots, activity, and time waste alerts if you have previously enabled all that in your settings. To see detailed information, you will have to visit the other tabs (which we will mention more in detail below). The Screenshots tab is where we find all the screenshots of work done by each of our employees, sorted by day/week/month. You can also sort by the employee’s name and the project they worked on. We can see the number of mouse movement and keyboard presses between every two screenshots made, which gives us a clue about the working tempo. We can also download all the screenshots. 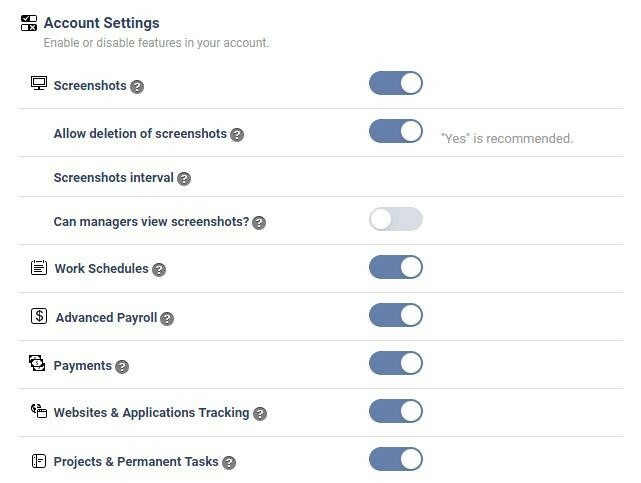 The frequency of taking screenshots can be changed in the screenshots settings panel. Time Use – here we can see how much time was spent working on each of our projects. This information we forward to our clients if the fix went overtime. We notify them of the situation, send them the info, and if they approve, we continue working on the solution. Timeline – this panel graphically shows how each of our team members uses their time. At a glance, we can see if they take breaks too often, which would mean that they are not focused on the task at hand. Poor time use – this is where time spent on non-work-related websites will be displayed. Sites like YouTube, Facebook, Instagram, and similar will be listed here, but only if a team member spends more than 10 minutes on them. If you see a “No worries” icon, you will know your employees work hard. Web & App Use – this panel tells us how much time each of our team members spends in each program or on each of the websites they visit. Projects – the Projects panel tells us the amount time spent on specific projects by each team member, also showing tasks and subtasks they added while working. Attendance – if your employees are working on a schedule, you will use this panel quite often. Here you will see how much time they work each day, and also if they have a strict start/finish time. You will also see if some of them came to work late. At FixRunner, we do not have shifts or tight working hours, so we do not use this panel all that much. The Payments feature transforms the TimeDoctor from an advanced time tracker to a complete and easy-to-use system that allows you to pay your employees for the work completed. In the settings, you can set different rates for every team member, whether you pay by the hour or a fixed fee. You can also create payment schedules, choosing to pay your workers weekly/bi-weekly/monthly or on custom dates. FixRunner has 13+ employees that work both in office and remotely; the Payments feature makes our payment process far more comfortable, and in our opinion, it is one of the best tools TimeDoctor app has. Another great thing about TimeDoctor is that it has integrations with all popular services such as PayPal MassPay and Payoneer. However, even if your preferred payment method is not on the list, you can manually add it. These integrations will automatically create CSV files of your payroll, which you can upload to your desired platform, and make the payment. We have tried it with PayPal and Payoneer, and it works well. Clients tab is another impressive feature of TimeDoctor. It gives us an option to set up accounts for our clients, sharing project information with them. That way, they can see at any time how their money is spent. This feature helps you to build trust with your customers since it hides nothing. You can set the access level for each of your employees, and for specific projects, and time periods. You can also choose a white label domain (no TimeDoctor stamp will be shown anywhere). This option enables our clients to see first-hand how we handle their support requests, helping us to convert them to long-term subscribers. Here is how it looks from the client’s perspective. You can also give them access to screenshots and app usage. Any payment requests you send will show in the Payment requests and Payment history sections on the left (marked in red). TimeDoctor is full of features, but as we said, you only use what you find necessary or useful. You can integrate it with a multitude of services that you already use in your work process. You can add these at the company level, so all of your team members can access them. Also, each of them can add their own, just for themselves. TimeDoctor is an awesome service, and FixRunner uses it every day. It has dramatically improved our workflow, increasing our productivity both for our in office workers and remote freelancers. It has a rich bag of tricks, and we recommend it to anyone who is looking to take the productivity of their company to another level. Just remember not to misuse this great software. At FixRunner, we only check the screenshots and the detailed statistics if we notice that one of our team members is not working as efficiently as they should be. Treat TimeDoctor like a security camera. You install cameras to prevent issues and to check the footage only if something happens that warrants a check. You did not install it to monitor people 24/7. The same applies to TimeDoctor – you use it to keep your workers productive, not to bother them or to check them every second. Keep that in mind and you should find FixRunner to be an effective productivity and time tracking solution for your business. Hello there! My name is Sam and I’m the founder and head of fixrunner.com where we maintain and support any type of WordPress websites, these days I’m spending most of my time developing this fast-growing business. I don't get many chances to write about WordPress but when I do I just love it!